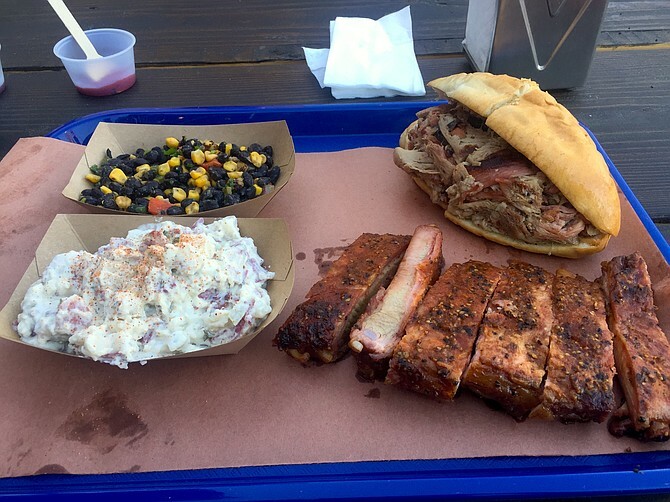 This cowboy-themed Texas BBQ in North Park is sweet, spicy and smoky. However, they close up when they sell out -- a frequent occurrence -- so get there early. The Tri-Tip and turkey are both good bets while the Texas bean salad is tangy and spicy. Wednesday noon to 3:30 p.m.
Wednesday 6 p.m. to 9 p.m.
Thursday noon to 3:30 p.m.
Thursday 6 p.m. to 9 p.m.
Friday noon to 3:30 p.m.
Friday 6 p.m. to 9 p.m.
Saturday 6 p.m. to 9 p.m.